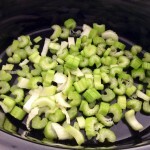 Meanwhile put the Maggi vegetable stock cubes into a measuring cup and add a small amount of water. Stir until completely dissolved. Top up the cup with more boiling water and pour over the onions and mushrooms. 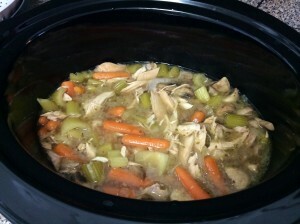 Add 3 more cups of hot water to the pan or why not use your own homemade chicken stock. Season with the mustard, black cracked pepper, complete seasoning and oregano for taste. Stir well and cover. Remove from the heat after a few minutes but keep the lid closed. Set aside. 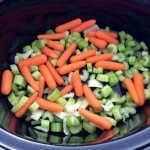 Add the celery, carrots and chicken to the slow cooker. I added a bit more black cracked pepper at this point. 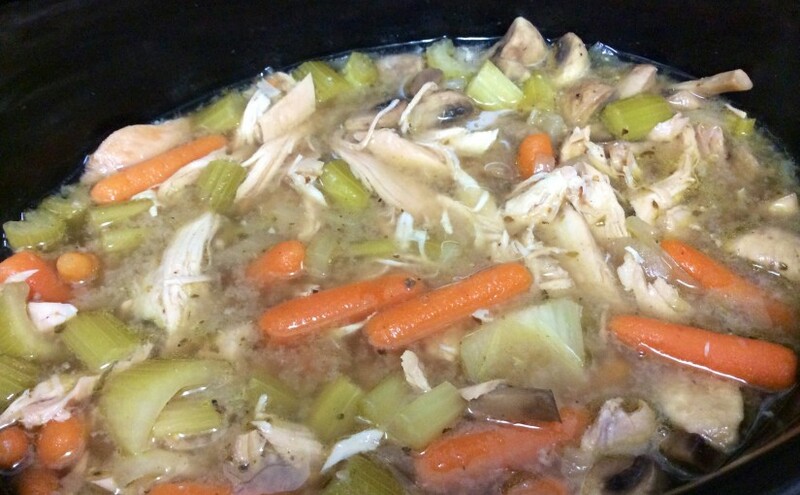 Take the stock and slowly pour the mixture over the vegetables and chicken. Do not stir. We had some pasta by Ronzoni called Pastina. 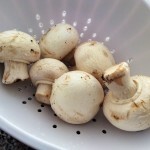 If you look closely they are little stars and they are great in light soups as an alternative to potato. They only take 5 mins to cook so boil them in a separate pan and add a spoon on top of your finished soup. Top tip: use a fine sieve to drain the Pastina as they are tiny and will easily escape a large holed sieve.